The following families have genealogy eBooks on this page: Bass, Binney, Bretz, Corey, Corwin, Countryman, De Camp, Delano, Fowler, Gallenmore, Hood, Lambert, Larcom, Lefferts, Smith 1684, and Vilas families. 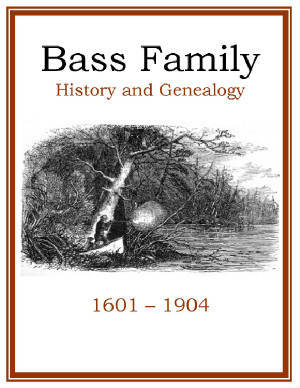 Bass Family History and Genealogy. PDF eBook English 0.31 MB. 1904. This short 11 page document may contain rare genealogical information not to be found elsewhere. It contains the descendants of the pioneer Samuel Bass who was born 1601 in England, and immigrated to New England in 1630. Vital dates and names range from 1601 to 1904, and provide 11 generations of information. Such information is provided from a single pedigree chart contained in this publication. A great resource to the past! Price $6.95 USD. 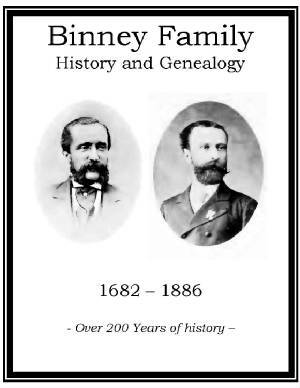 Binney Family History and Genealogy. PDF eBook English 11.5 MB. 1886. Binney branches from various countries, with origins from France and Germany, provide the ancient legend of the family origin contained in this publication. Vital dates, and names, range from 1682 to 1886 with numerous rare ancestral photographs, and a 14 page index containing over 720 names of ancestors and in-laws. A wealth of information for the family genealogist! Price $6.95 USD. Corey Family History and Genealogy or James Cory and Susan Mulford. PDF eBook English 2.93 MB. The legendary Cory book called “The Grate Booke” written from 1603-1616 was brought to the Colonies by John Cory. It was last known to be in the hands of William Smith Cory who lived near Darlington, Pennsylvania in 1913 according to details in this book. Noteworthy biographies of descendants from James and Susan are listed with short biographies of the in-law families of: Axtel, Mulford, Kitchell, Farrand, Sheaffe, Bruen, and Holford. Great information on one of America’s long standing Colonial families! 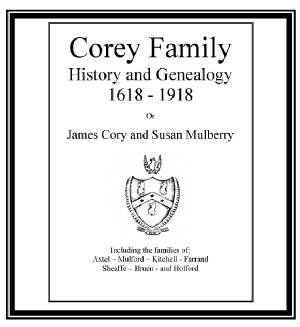 A great reference for the Corey family genealogist! Price $6.95. De Camp Family History and Genealogy. PDF eBook English 2.41 MB 1900. Using the rapidly disintegrating French and Dutch church records, which were fading away, the descendants of Laurent De Camp an early Huguenot emigrant were referenced and compiled over a period of 6 years. There are 9 generations documented that stretch from the year 1664 up to 1900. 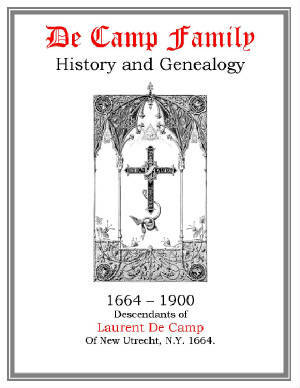 Covering a period of over 235 years this is a magnificent reference for the De Camp family genealogist! Price $6.95 USD. Fowler Family History and Genealogy. PDF eBook English 1.0 MB. 1913. The author labored 3 years compiling the ancient family lore from Sunnye Englande resulting in 132 years of Fowler family genealogy. Vital names and dates range from 1780 up to 1912, and there are 5 rare ancestral photographs with one etching. Although only 25 pages in length, this resource may contain information unique to this publication! You may discover another century of genealogy! Price $6.95 USD. Hood Family History and Genealogy. PDF eBook English 1867 & 1899. 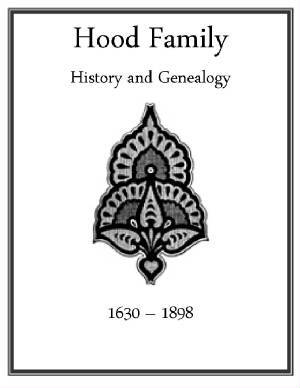 This is a source of abundant information on Hood family members covering 9 generations from the year 1630 up to 1898. A short character sketch of Richard Hood who came from Lynn, in England, and settled at Lynn, in Massachusetts, is described. Also, the American Revolutionary War account of John Hood is detailed along with annotations from an unknown researcher. This one resource contains two publications providing several branches from common ancestors! A great Hood family resource! Price $6.95 USD. 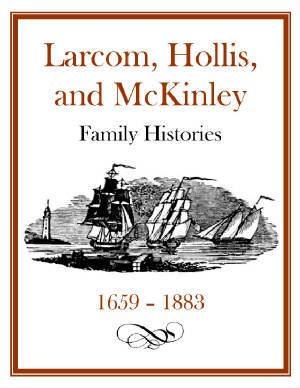 Larcom Hollis and McKinley Family History and Genealogy. PDF eBook English 6.50 MB 1883. Born in the middle of the 1700’s, and nearly the same age, four naval officers were so united by intermarriage that they were practically brothers in every respect. Thomas and Joseph Larcom, Aiskew Hollis, and George McKinley. Biographies, pedigree charts, and vital dates, which range from 1659 to 1883 provide genealogical information on the families of these close friends. A great link to the past for family researchers! Price $6.95 USD. 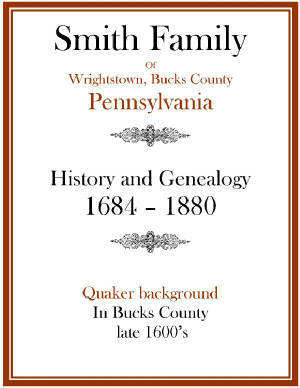 Smith Family History and Genealogy 1684 Bucks Co. PA. PDF eBook English 5.42 MB. 1883. If your Smith family oral legend mentions the Society of Friends, or the Quakers, this may be about your ancestors. An index of 13 pages lists over 550 names from 1684 up to 1880 with 4 generations listed. William Smith came from Yorkshire, England, in 1684 and settled with The Friends in Bucks County. A great resource for a difficult genealogical surname! Price $6.95 USD. Bretz Family History and Genealogy. PDF eBook English 7.11 MB 1890. On August 15th of 1750 Wendel, Henry, and Ludwig Bretz arrived in New England onboard the ship Royal Union. Although Wendel and Henry married and had children this publication follows the descendants of their brother Ludwig. 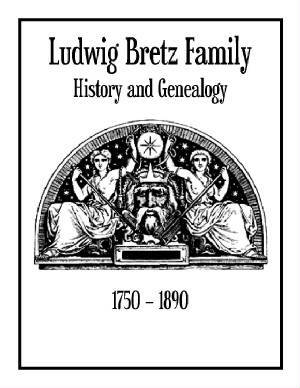 There are 5 generations with vital names and dates extending from the year 1750 up to 1890 in this essential resource for the Bretz family genealogist! Price $6.95 USD. 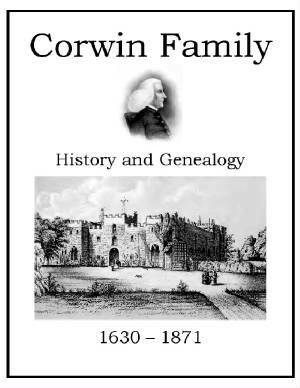 Corwin Family History and Genealogy. PDF eBook English 19.4 MB 1872. Name variations include Culwen, Curwin, and Curwen with both English and American branches traced back into time. Vital dates, and names stretch from 1630 up to 1871. There are pedigree charts, short biographies, and an index of 19 pages listing hundreds of descendants and in-laws. A source of important documentation to extend the family genealogy! Price $6.95 USD. 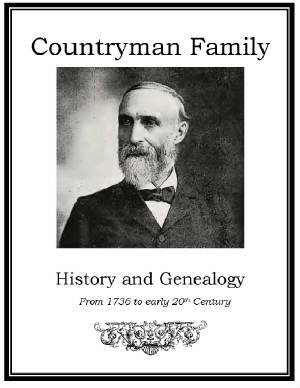 Countryman Family History and Genealogy. PDF eBook English 19.0 MB 1925. 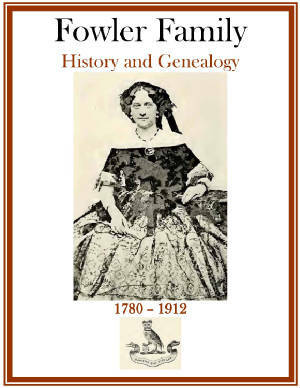 With numerous rare ancestral photographs, and maps showing lands owned by the family, this publication is a wealth of knowledge for anyone interested in Countryman family genealogy! Vital dates, and names, range from 1736 up to 1925. One name variation provided is that of Conderman. An essential resource for the family genealogist! Price $6.95 USD. Delano Family History and Genealogy. PDF eBook English 14.80 MB. 1899. A very detailed account rich with family lore! Containing the descendants of two brothers: Jonathan and Samuel Delano, this publication spans time from the year 1647 to 1899. 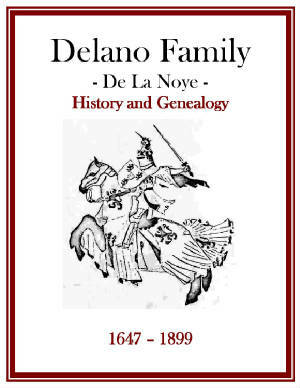 The Delano family, perhaps originally De La Noye, is aligned with the family Delano de Lannoy. This extensive compilation contains excellent documentation of references, and contains the last chapters 4 through 6 of the original work that was finished on June 26, 1899. There is a long listing of unknown Delano branches, Delano war records, and several etchings. A wealth of information for the family genealogist! Price $6.95 USD. 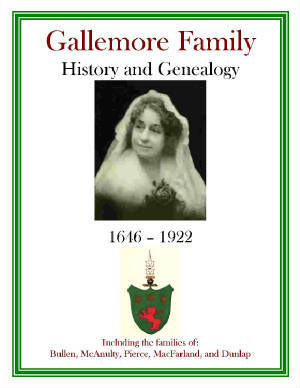 Gallenmore Family History and Genealogy. PDF eBook English 5.66 MB. 1922. A rich family legend is provided that endeavors to stretch the Irish roots back to the year 87 B.C. Essential dates for modern day descendants range from 1646 up to 1922, with numerous rare ancestral photographs, many farmhouse etchings, and essential information on the Coats of Arms for the families of: Gallemore, McAnuylty, and MacFarland. A fantastic resource that may detangle relationships from past centuries! Price $6.95 USD. Lambert Family History and Genealogy. PDF eBook English 2.65 MB. 1918. Over 280 years of Lambert genealogy, that stretches from the year 1637 up to 1918. Originally of Salem, Massachusetts, the family spread across North America. A fresh insight into history includes a family member who was fined for smoking tobacco openly in the street. That was in November of 1655! Yes, that really is 1655. 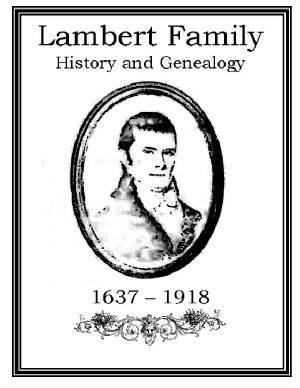 An essential resource for the Lambert family genealogist! Price $6.95 USD. Lefferts Family History and Genealogy. PDF eBook English 7.94 MB. 1878. The family emigrated in 1660 from Haughwout Village, which was located an hour and a half north of Hoorn in Northern Holland, to Kings County, New York. This reference includes poetry, and covers 5 generations from 1650 up to 1878 with a 20 page index containing over 1500 names. 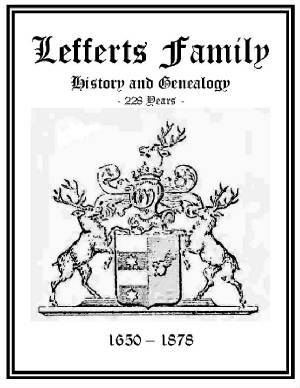 A history of over 225 years for the Lefferts family genealogist! Price $6.95 USD. Vilas Family History and Genealogy. PDF eBook English 6.90 MB 1875. 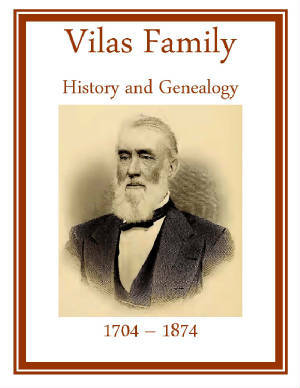 The descendants of Peter Vilas stretch 7 generations and cover 170 years, from 1704 to 1874 in this detailed account. There are a few rare ancestral photographs, details of United States and Canadian families, along with a 23 page index documenting over 800 descendants and in-laws. This genealogical reference may detangle relationships from past centuries! Price $6.95 USD.